Legends Of Chima Online: New Lego MMO Coming Soon on August 1st, 2013! 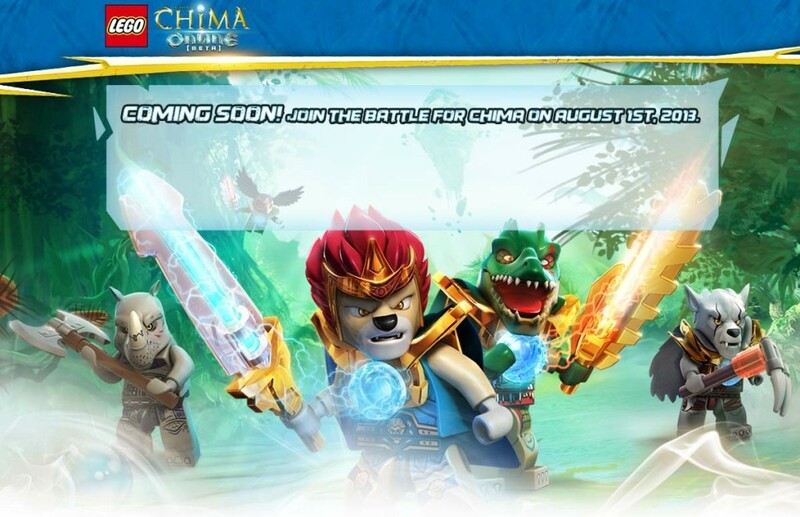 Coming soon on August 1st, 2013 is a new Lego free-to-play MMO called “Legends of Chima Online”, which is based off of the Lego theme & Cartoon Network TV series of the same name. The game will be developed by WB Games Montréal, and has just completed its closed-beta-test & is now entering open-beta-testing. The upcoming Legends of Chima MMO is not the only massively multiplayer online game about Legos coming out, another MMO is being developed by Lego & game developing company Funcom, called “Lego Minifigures Online”, which is set to enter closed-beta in 3Q 2013, (3rd quarter of 2013). Lego Legends of Chima Online is said to allow players to choose their own Lego Legends of Chima tribe & animal warrior and help stop Cragger’s Croc Army. Players will be able to play with friends in a safe, fun Lego game environment and customize their own outposts to gain powers & abilities and unleash the power of Chi in fun, epic, & action-packed Lego battles. Visit http://chimaonline.com/ for more information on the upcoming Lego MMO, Lego Legends of Chima Online and to play the free-to-play MMO when it is released. Go here to see the original announcement of Lego Legends of Chima Online, & go to chima.lego.com for Lego Legends of Chima products, videos, & games. 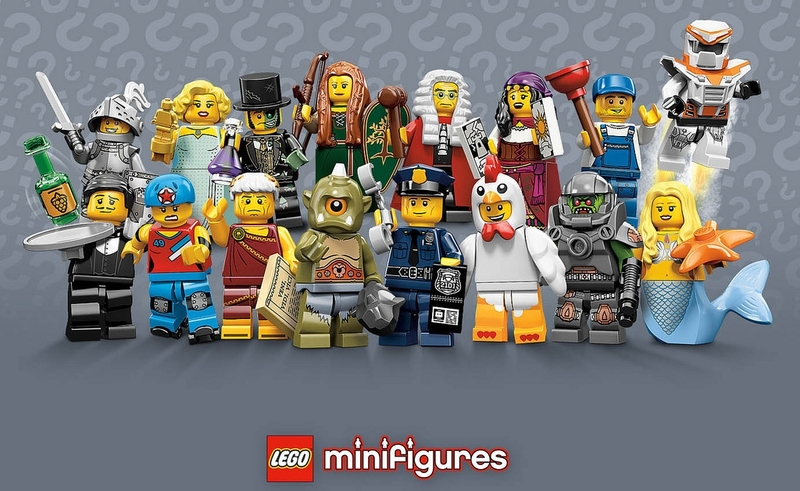 Game developing company, Funcom, has been working with the Lego Group to create a new Lego MMOG (Massively Multiplayer Online Game) based off of the Lego Minifigures line of collectible Lego minifigures. The game is planned to launch in the first half of 2014, and a limited closed beta-test is set to begin in the third quarter of 2013. Funcom has announced the MMOG to be targeted towards children and will be promoted through the official Lego website, Lego.com, and other channels. The game is planned to include many cool features, including fun combat / fighting, classic Lego humor, PvP (player vs. player) battles, diverse & varied worlds, in-game “power bricks” allowing players to increase their character’s stats & power, boss enemies, and many other fun and interactive features. Funcom is currently working on a tablet version of the game, as well as integration with LEGO ID, and other back-end systems. The contract between Funcom and Lego grants Funcom the rights to make an MMORPG (Massively Multiplayer Online Role-Playing Game) and companion mobile apps based off of the Lego Minifigures series. It allows for development of the game on PC, Mac, iOS, Android, and Windows Mobile platforms. The contract’s territory is global and the term of the contract ends 3 years after the commercial launch of the Lego Minifigures MMOG, and can be renewed. Funcom has also released 2 screenshots of the currently-in-development game in their “2012 Fourth Quarter Presentation”, which can be viewed here. You can visit Funcom’s official website at Funcom.com, and you can visit Lego’s official website at Lego.com. Well, we hope you will play and enjoy the new and upcoming Lego Minifigures MMOG coming soon next year in the first half of 2014! New Lego Mindstorms EV3 Robotics Platform Coming Soon! It’s the 15th anniversary of Lego Mindstorms, a Lego robotics system that gives children the ability to build and program their own cool Lego robots! And what better way to celebrate the 15th anniversary of Lego Mindstorms than to release a brand new Lego Mindstorms robotics platform? Well that platform is the cool, new Lego Mindstorms EV3 robotics kit! The new Lego Mindstorms EV3 system features the new EV3 Intelligent Brick, which is stronger, faster, and has more memory and a larger processor than the Lego Mindstorms NXT Intelligence Brick from the previous Lego Mindstorms platform, NXT 2.0. The new EV3 Intelligent Brick also features expanded on-brick programming, a USB port, an SD expansion port, and full iOS and Android compatibility, making room for even more robot-building possibilities! The new EV3 platform is more accessible and features a new infrared sensor, allowing for more control and personality for the robots you build! When launched, the Lego Mindstorms EV3 robotics kit will include building instructions for 17 cool-looking, fun, and interactive robots you can build, including “Everstorm”, a cool humanoid robot that shoots balls as it walks; “Spiker”, a scorpion-like robot that searches for an infrared beacon “bug”, and a slithering, shaking robotic serpent called “Reptar” that might just strike at you! There is also a series of “modular builds”, which can be built in a short time and added onto with other parts so kids can begin playing and programming within minutes! 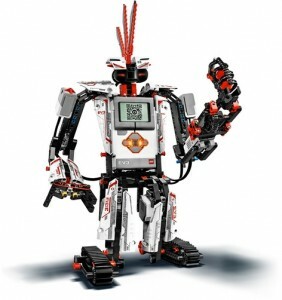 The product of 3 years of development, the Lego Mindstorms EV3 robotics kit will be released in the second half of 2013, for the suggested retail price of $349.99 USD. And for the first time, this fun, new Lego Mindstorms product will be available in native language editions for Russia, China, and Korea. 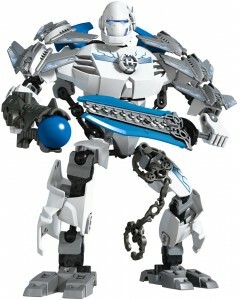 You can visit the Lego Mindstorms website at http://mindstorms.lego.com/en-us/Default.aspx for more information. We’ll make sure to put this cool new Lego Mindstorms robotics kit on this website as soon as possible, so be on the lookout for the Lego Mindstorms EV3 here on ToyBrixandBlox.com! EMERGENCY! A full-scale breakout at the maximum-security prison at the Hero Factory has allowed all of the most dangerous villains in the galaxy to escape! One of the heroes from the Hero Factory, Rocka, is on a dangerous mission to stop the evil Black Phantom, the leader of the breakout, and bring him to justice! Equipped with a heat-scope vision helmet, powerful crossbow, and energy shield, Rocka is ready to battle any dangerous villain who comes his way! And with his jet-powered hero-cuffs that seek their target, Rocka won’t have much trouble catching and cuffing all those villains! 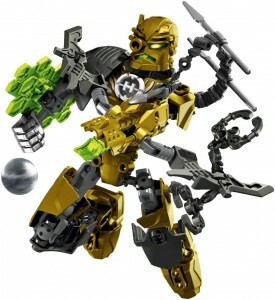 This highly flexible Lego action figure features a unique decorated chestplate, crossbow that really shoots, energy shield, and hero-cuffs! Plus, Rocka’s hero core on his chestplate has a special code on the back that can be entered in the online 3D Lego Hero Factory Breakout game, to give you 300 game points! Combine with Lego Hero Factory Black Phantom to make a cool combo model! Bring justice to the galaxy and catch n’ cuff those villains with Lego Hero Factory Rocka! Includes 55 Lego pieces. A full-scale breakout at the maximum-security prison at the Hero Factory has allowed all of the most dangerous villains in the galaxy to escape! Rocka is on a dangerous mission to stop the evil Black Phantom, the leader of the breakout, and bring him to justice! Lego Hero Factory Rocka features a unique decorated chestplate, crossbow that really shoots, energy shield, and hero-cuffs! Rocka’s hero core on his chestplate has a special code on the back that can be entered in the online 3D Lego Hero Factory Breakout game, to give you 300 game points! Combine with Lego Hero Factory Black Phantom to make a cool combo model! Lego Hero Factory Rocka is over 7 inches (19 cm) tall! Uh-oh! All the villains at the Hero Factory maximum-security prison have escaped in a massive breakout! One hero from the Hero Factory, Surge, has been sent into outer-space to catch n’ cuff Splitface, a dangerous villain with two dangerous personalities! Surge is powered up and ready to stop that villain with his electricity sword and shooter, plasma shooter that really shoots, and extra shoulder armor! And with his jet-powered, villain-seeking hero-cuffs, Surge will cuff that villain and take him back to prison as fast as lightning! 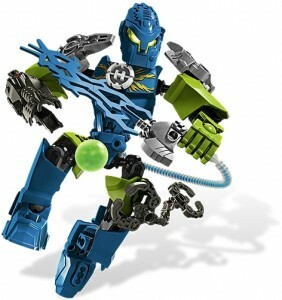 This highly flexible Lego action figure features a unique decorated chestplate, an electricity sword and shooter, a plasma shooter that really shoots, and hero-cuffs! Plus, Surge’s hero core on his chestplate has a special code on the back that can be entered in the online 3D Lego Hero Factory Breakout game, to give you 200 game points! Combine with Lego Hero Factory Splitface to make a cool combo model! Give those intergalactic criminals the shock of their lives with Lego Hero Factory Surge! Includes 39 Lego pieces. Uh-oh! All the villains at the Hero Factory maximum-security prison have escaped in a massive breakout! Surge has been sent into outer-space to catch n’ cuff Splitface, a dangerous villain with two dangerous personalities! Lego Hero Factory Surge features a unique decorated chestplate, an electricity sword and shooter, a plasma shooter that really shoots, and hero-cuffs! Surge’s hero core on his chestplate has a special code on the back that can be entered in the online 3D Lego Hero Factory Breakout game, to give you 200 game points! Combine with Lego Hero Factory Splitface to make a cool combo model! Lego Hero Factory Surge is over 7 inches (18 cm) tall! Emergency! A full-scale breakout at the Hero Factory prison has caused all of the galaxy’s most dangerous villains to escape! Evo, a heavy-artillery hero from the Hero Factory, is on a mission to bring to justice the evil Toxic Reapa, a dangerous villain with slimy, toxic weapons! Ready and equipped with a powerful tank arm with a plasma shooter that really shoots and anti-toxic power boots, Evo is sure to stop that mean green criminal! And with his jet-powered hero-cuffs that seek their target, Evo will catch n’ cuff that villain and bring him to justice in no time! 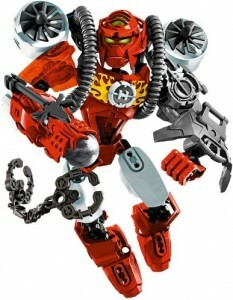 This highly flexible Lego action figure features a unique decorated chestplate, a tank arm with plasma gun that really shoots, and hero-cuffs! Plus, Evo’s hero core on his chestplate has a special code on the back that can be entered in the online 3D Lego Hero Factory Breakout game, to give you 200 game points! Combine with Lego Hero Factory Toxic Reapa to make a cool combo model! Bring all the criminals to justice with Lego Hero Factory Evo! Includes 36 Lego pieces. Emergency! A full-scale breakout at the Hero Factory prison has caused all of the galaxy’s most dangerous villains to escape! Evo, a hero from the Hero Factory, is on a mission to bring to justice the evil villain, Toxic Reapa! Lego Hero Factory Evo features a unique decorated chestplate, a tank arm with plasma gun that really shoots, and hero-cuffs! Evo’s hero core on his chestplate has a special code on the back that can be entered in the online 3D Lego Hero Factory Breakout game, to give you 200 game points! Combine with Lego Hero Factory Toxic Reapa to make a cool combo model! Lego Hero Factory Evo is over 6 inches (17 cm) tall! WARNING! A breakout at the maximum-security Hero Factory prison has caused all the worst and most dangerous villains in the galaxy to escape! Stormer XL, an experienced hero from the Hero Factory, has set out on a mission to stop one of the most dangerous villains, Speeda Demon, a super fast criminal that won’t give up very easily! But Stormer XL, armed with an electrical power sword, an advanced plasma gun, and scout drones, is ready for a battle of speed vs. power! With his villain-seeking, jet-powered hero-cuffs, Stormer XL is prepared to slow that speedy villain down and catch him and cuff him! 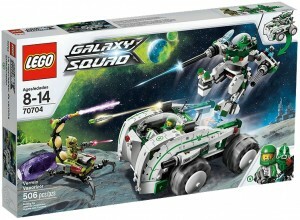 This highly flexible Lego action figure features a unique decorated chestplate, power sword, plasma gun, hero-cuffs, and scout drones! Plus, Stormer XL’s hero core on his chestplate has a special code on the back that can be entered in the online 3D Lego Hero Factory Breakout game, to give you 500 game points! Combine with Lego Hero Factory Speeda Demon to make a cool combo model! Stop those villains in their tracks with Lego Hero Factory Stormer XL! Includes 89 Lego pieces. WARNING! A breakout at the maximum-security Hero Factory prison has caused all the worst and most dangerous villains in the galaxy to escape! Stormer XL, a hero from the Hero Factory, has set out on a mission to stop one of the speedy villain, Speeda Demon! 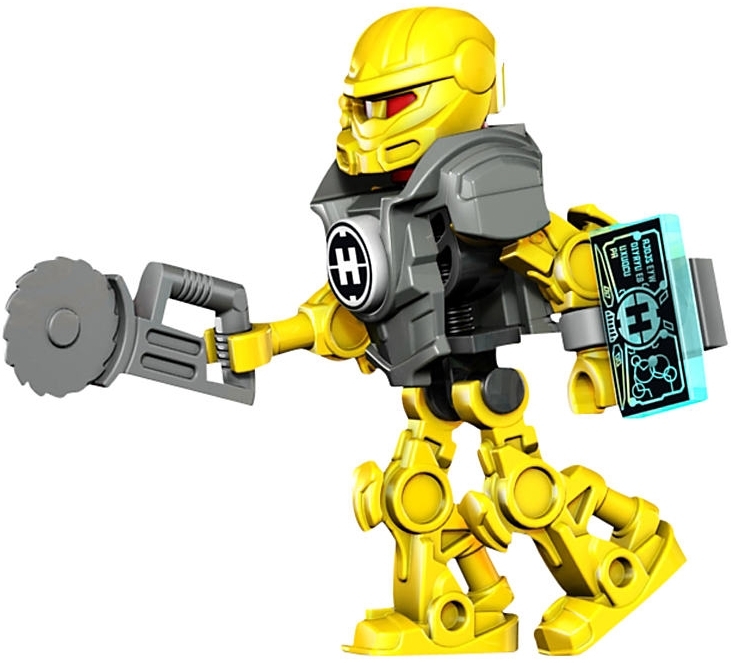 Lego Hero Factory Stormer XL features a unique decorated chestplate, power sword, plasma gun, hero-cuffs, and scout drones! Combine with Lego Hero Factory Speeda Demon to make a cool combo model! Lego Hero Factory Stormer XL is over 10 inches (26 cm) tall!